Sometimes it’s required to reset a controller, this can be done from the cli. After that you need to switch to the AVI Shell and there you can issue the ‘reboot clean’ command. Credentials for the AVI Shell are the same as for the SSH Login. Since ACI release 3.1(1) it’s now possible to use some of the Leaf Uplinks as Downlink Ports. This could help you out if there is a need for some 40/100G ports but you are currently only running 10G Leafs. There are some limitations, check them out on the Cisco Page. Our use case was to use some of the 40/100G Ports as Downlinks on a N9K-C93180YC-FX. The main limitation there is that the last 2 ports (53 and 54) don’t support conversion, no issue if you use them as Uplinks anyway. Some time ago i posted how to convert a ACI switch to NX-OS, now the other way around. Warning: Please check list of all ACI supported hardware before doing this operation, not all hardware are supported. !!!WARNING! there is unsaved configuration!!! After some looking around i found a bug that matched pretty good on the cisco page. After upgrading the Nexus 5548UP to 5.2.1.N1.9b i was finally able to bring the san-port-channel up between the Nexus and the UCS-Mini. We faced some strange ICMP redirect messages today on one of our devices after we configured BFD for BGP. So these redirect messages where triggered from the BFD Echo packets that Device2 received from Device1. 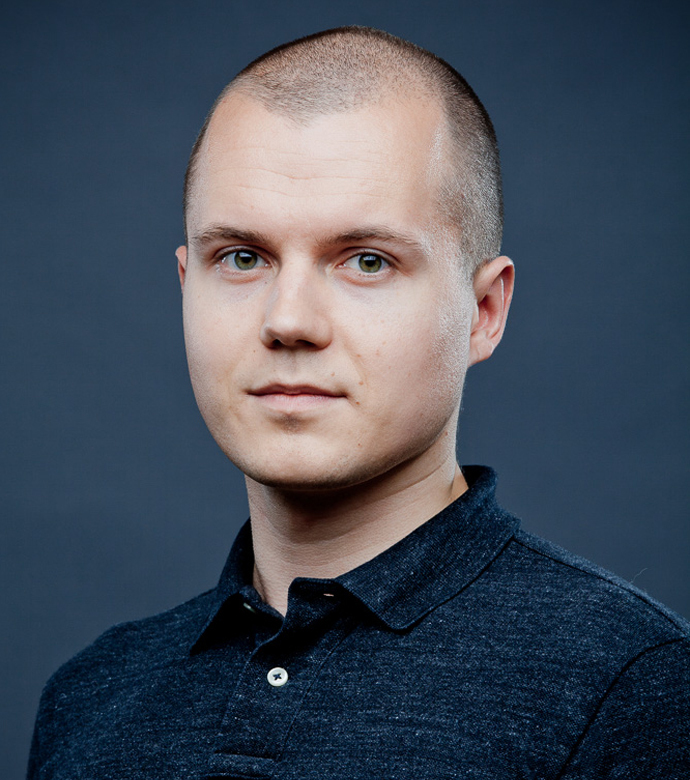 We simply forgot to disable `ip redirects` on the interface between Device2 and Device1, after we changed this the ICMP bogus redirect messages where gone. This is documented on various points on the cisco page, for example here. Before using BFD echo mode, you must disable the sending of Internet Control Message Protocol (ICMP) redirect messages by entering the no ip redirects command, in order to avoid high CPU utilization. I just got the mail that i was accepted to the Cisco Champions 2017 program, this is the first year for me! Passion, plus a desire to share their perspectives with the community. 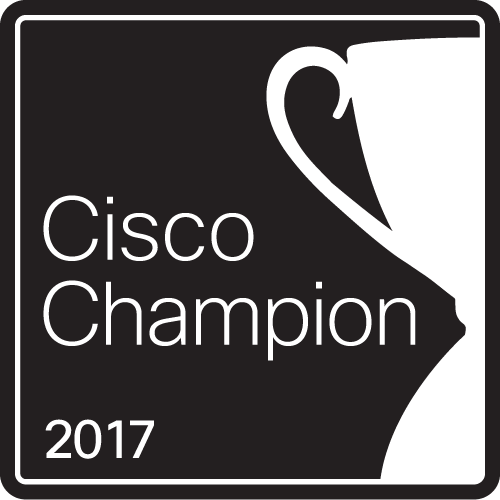 There are Cisco Champions all over the world. They represent a variety of segments across the IT industry. And they offer their time to help others learn about Cisco and connect with Cisco in unique ways. Thanks to Cisco for the opportunity to be member of this program! 2016 is over, at least here in switzerland. 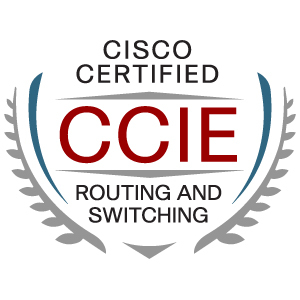 It was an interesting year for me, i attend my first Cisco Live (@Vegas) and had to recertify my CCIE for the first time. As the new year starts i’m taking a new challenge @Netcloud as Network Engineer. I have different things that i want to accomplish in 2017. Improve my Spanish I learned some basic Spanish skills last year and put them in use on my trip to central america, but i definitely want improve them! I had a issue today with running remote commands on one of my fabric switches, always generated an error. Add correct host key in /home/admin/.ssh/known_hosts to get rid of this message. I think this was the switch that i converted to NX-OS standalone mode, and thus it changed the host key. After that i was able to run commands from the apic and also connect to the fabric switch again. With the introduction of the NX-OS like CLI Cisco also added the option to run commands on the switches directly from your apic. It’s now even easier to get some infos from one or multiple switches in your fabric. With the introduction of NX-OS, the syntax changed a bit. You have now first to drop back to the bash shell and then you can attach the switches. Password is still the same as for the APIC. There is also the possibility to directly run show commands from the APIC. CCIE #43536. Python. Automation. Backpacker. Ducatisti. Runner.